Anyone have any ideas when this series might be dropping? I’m very excited to finish the team of T-Cats and the Mutants! need help nerd? they are in gamestops and stuff out by me. I still need to find series 1 in stores! I didn't even know there was a series 1...must be on the lookout for them. 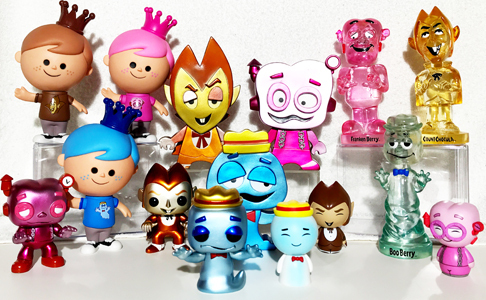 Definitely haven’t spotted any series 1 sets in stores yet, but always looking forward to seeing what Funko comes up with! thejosh2010 wrote: Definitely haven’t spotted any series 1 sets in stores yet, but always looking forward to seeing what Funko comes up with! Check out your local Gamestop. I saw them in mine yesterday. I’d love to see this. Especially the Bengali, and the rest of the new recruits!! Thunder cats would be super duper awesome!!! Vehicles too! And Silver hawks. They should do Silver hawks! Has anyone been able to find a Panthro with legs that didn't break? imbatgirlpop wrote: Thunder cats would be super duper awesome!!! Vehicles too! And Silver hawks. They should do Silver hawks! Oh man, big yes to silver hawks!!! If we get the silver hawks....then we also should get Tiger Sharks! Oh man, Silver Hawks taking me back! Would love to see those! 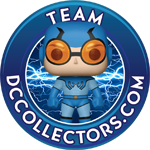 I would like to see a con exclusive or Funko shop exclusive two pack of the Thunder Kittens. Two waves perfectly cover the original team, but Wiley Kit and Wiley Kat need to get action figure treatment as well. I finally caved in and bought Lion-o and Panthro - as usual my Panthro had broken legs as soon as I attempted to take him out of the packaging. Seems to be a common problem with every Panthro. Anyway looking forward to wave 2. Hope they fix the quality control issues. For anyone having trouble finding these, check your local Barnes and Noble...I see them there pretty regularly. Manclad wrote: I finally caved in and bought Lion-o and Panthro - as usual my Panthro had broken legs as soon as I attempted to take him out of the packaging. Seems to be a common problem with every Panthro. I gave up on these because of the Panthro defects. Even if they re-release, unlike DC Primal Age where the Target release was good, there's no way to identify a good Panthro. I think I'm only back in if they do a clearly different-package release like a multipack or Panthro with a vehicle. I collect all things Game of Thrones and many other POP lines.